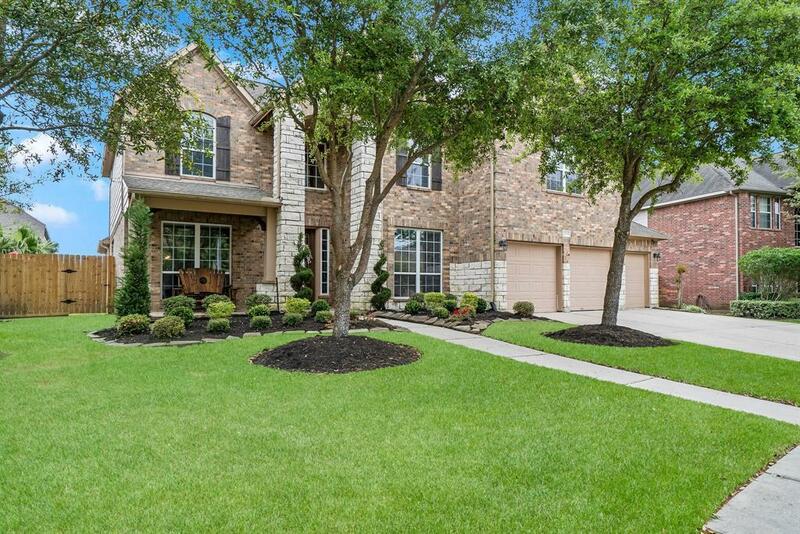 Have your own backyard oasis in the master planned community of Summerwood! 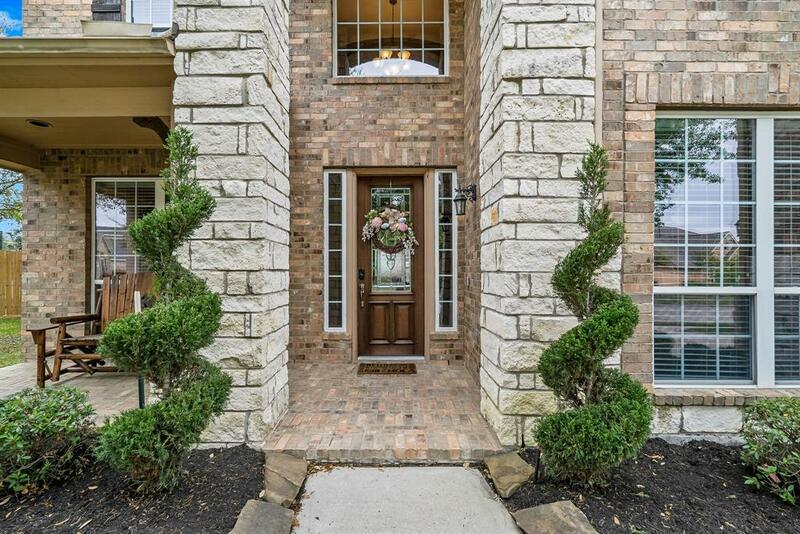 Enter through a 2 story rotunda foyer with iron staircase, columns, mosaic marble tile flooring, leading to the Formal Living & Dining room with hardwood flooring and upgraded designer lighting. The Family room has soaring 2 story ceiling, cast stone fireplace, and wall of windows overlooking a sparkling lagoon style heated pool, waterfall & spa complete with palm trees and covered veranda. 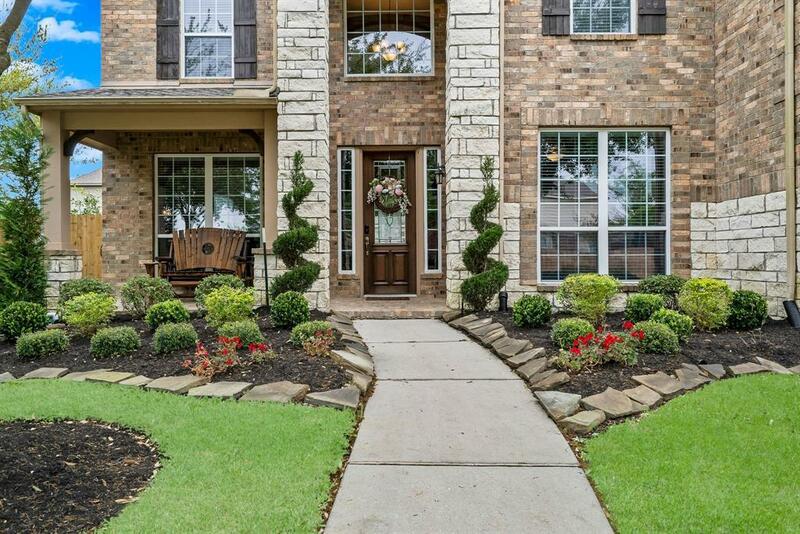 Breakfast area & Kitchen have designer lighting, oversized granite island, SS appliances w/ gourmet 5 burner gas cooktop, and gorgeous stained cabinetry with SS hardware. Master suite is huge w/ 12'ceiling & window seat. Masterbath has double vanities, soaking tub, walk in mosaic tiled shower, w/rain shower fixture. Study, Powder room and Utility room are downstairs. Upstairs has expansive Game room and Media room. Three large bedrooms and 2 ensuite baths are also upstairs. 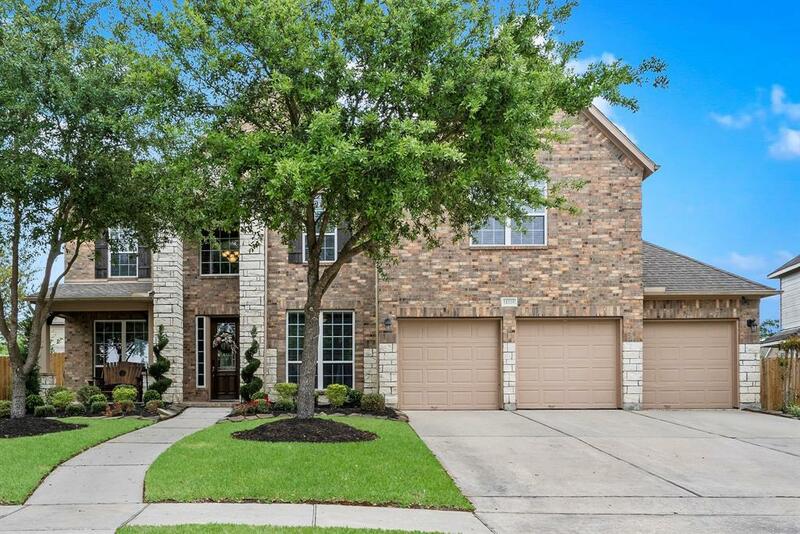 This home has it all...just add your family! Management Company Summerwood/Crest Management Co.